Doha; April 2015 - At the next Project Qatar tradeshow, to be held in Doha from May 4th to 7th, 2015, SOGAL will present its range of motorised closet doors, walk-in closets and partitions, all of which are made in France. Every item is made to measure, featuring meticulous design and a variety of adornments like mirrors, glass, wood and colour that will suit any decorative approach. For the past 30 years, SOGAL has specialised in innovative solutions to organise indoor spaces. The company makes sliding, swivelling and bendable closet doors, as well as upscale partitions and walk-in closets, all of which are environmentally-friendly. 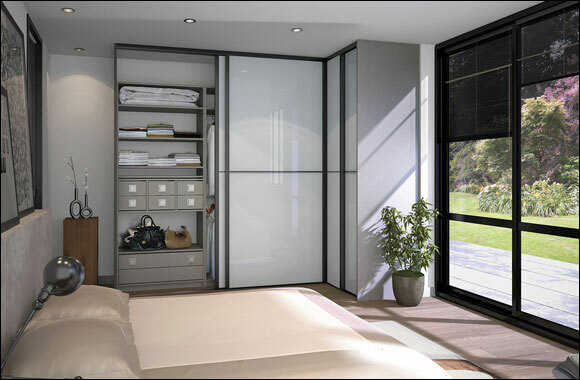 SOGAL is Europe’s leader in this field, and it has just developed the first motorised closet door. SOGAL products have been certified 'Origine France Garantie' since December 2014, an assurance that their main features were elaborated in France. In order to fit with your customised interior and to meet your storage needs, the walk-in closets are made to measure and can be arranged in a straight line, L-shaped or U-shaped. The sliding doors feature a shock absorber system for closing, as well as anti-derailment bearings for perfect sliding. The closet doors come in 1 to 6 panels, and they are available in a wide variety of colours and materials that will embellish the rooms while saving a lot of space. Their customised decorations are reminiscent of works of art that can enhance the style of any interior. In a bid to facilitate the assembly of its closet doors and Dressing Excellence® products, SOGAL has produced high-quality videos (available in French and English).